Grimmspeed wastegate with a Tial 38mm EWGS. two 8" sound ordinance all in one sub/amp's. one under each seat. Currently has a hood scoop delete installed but I have the original and perfect condition scoop that came with it and will be included with car. I'm sure I'm missing stuff so feel free to ask away. Car has been meticulously maintained and not a penny was spared in the build of this car. I can't entertain trades as I still have a loan on the car. With that being said if you want more pictures contact me and I'll send you plenty. contact me on here or my email is [email protected] Or you can pm me for my cell phone number. I'm located in Charleston, SC. http://charleston.craigslist.org/cto/3515483452.html is the craigslist post. I work weird hours so don't get worried if I don't reply right away. I'd also be willing to drop the price without the wheels to 20k obo. maybe even go lower without the supsenion but that takes work to switch out, lol. Again, it doesn't hurt to ask, just please no extreme low balls. I'll get some more recent pictures up tomorrow in the day light to show the AWIC setup. ps. 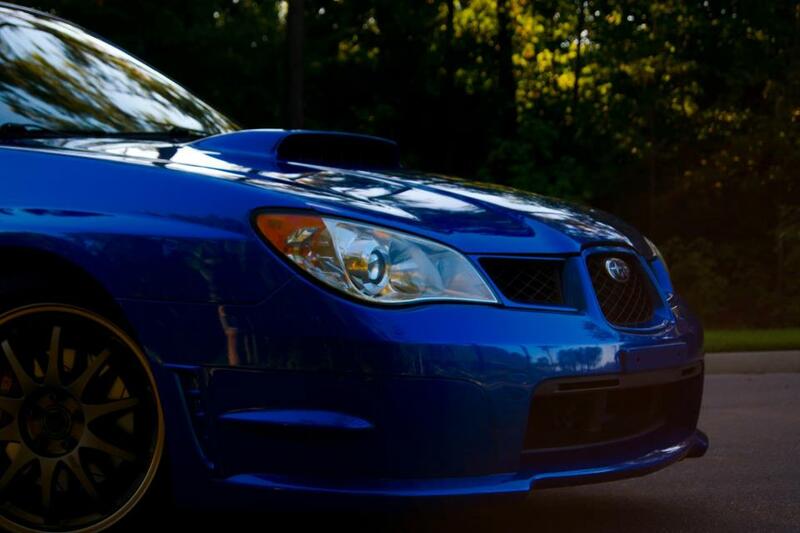 This was PeteJM's old subi for those of you who were wondering. Mod: request you can append "SC" to the beginning of my post title, please, I was being a noob. bump, dropped the price to 18k. obo. suspension (bc br inverted coilovers) will go back to stock this weeknd more than likely along with s202's taken off and stockers put on. Will be selling those seperated if anyone's interested. Make an offer, I haven't researched price on wheels but suspension for 700. Not sure mileage on them but I'd say atleast 15k miles.